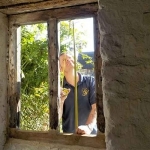 Traditional Window Restoration – The aim of conservation is to retain as much of the original glazing as possible with the minimum of intervention. There eventually comes a point with every old building where the windows have deteriorated to a level where complete restoration is the only option. In such cases, the glazing is carefully removed and restored to its former glory whilst retaining as much of the original as possible. 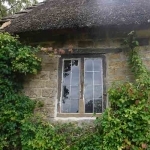 At Glasswood, we understand the nature of historic windows and glazing and we have extensive experience of working in historically important buildings and churches using traditional methods and materials. 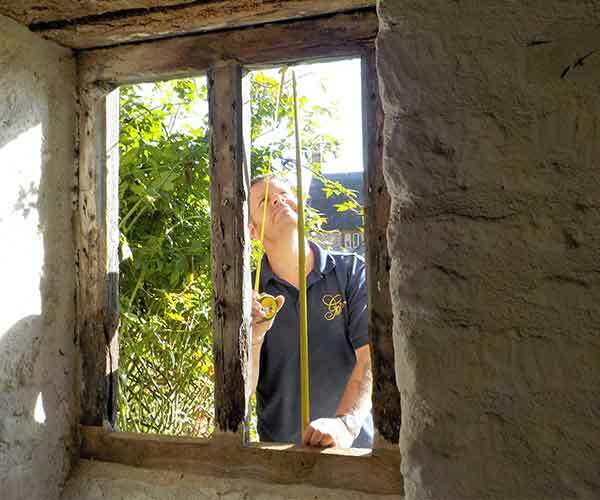 We deal with everything from minor repairs to leaded glazing through to major restoration/conservation projects in excess of £100K. We specialise in the replacement, restoration and conservation of iron and steel windows and treat every project with respect and are sympathetic to the integrity of the buildings we are working on. Iron and steel windows are ferrous and so even if correctly maintained will eventually corrode. 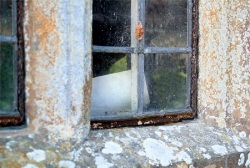 Accessible surface corrosion can be treated and dealt with in situ; however it is the inaccessible surfaces behind the glazing or within the stone or timber surrounds that cause long term problems. It is not possible to deal with this underlying corrosion in situ. 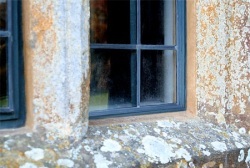 Left untreated, the corrosion will expand and eventually damage the stonework or timber frame and break the glass. When the underlying corrosion takes hold it is impossible to restore and the iron frames require removal. In the majority of cases it is possible to restore the existing iron frames conserving as much of the original material as possible. The frames are deglazed and shot blasted back to bare metal. The true extent of the damage caused by the corrosion is then assessed. Any repairs and replacement of severely corroded sections is then carried out. The frames are then treated, decorated and re-glazed prior to refitting the openings. We will use various treatments and finishes depending on the requirements of the work in hand. 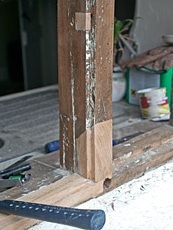 Timber frames tend to develop rot where water collects along the bottom rail and end jambs and mullions. 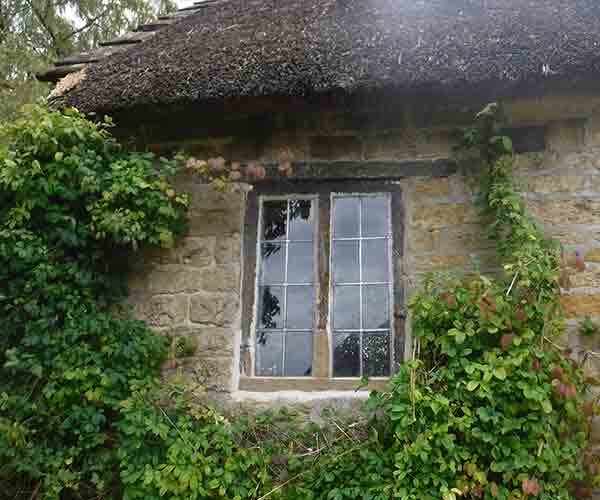 These can often be repaired in situ or, where this is not possible, replacement timber frames can be manufactured to match the old windows. Our in house joinery can deal with your requirements including the supply and installation of modern factory finished high performance double glazed hardwood windows.